#1917LIVE scored 9 finalist spots in the Shorty Awards, one of the most prestigious annual award competitions for excellence in social media. Active support from the audience was among the factors helping RT make the shortlist. #1917LIVE used Twitter as a platform allowing anyone to join by creating an avatar and posting on their behalf, as long as their character existed in 1917 and was historically accurate. Along the way, prominent authors and historians joined the 250,000 cross-platform users, including writers Paulo Coelho and Helen Rappaport. This April, during the 10th annual Shorty Awards, #1917LIVE will compete in 7 categories: ‘Best in Education,’ ‘Best Overall Twitter Presence,’ ‘Best Use of Twitter,’ ‘Best Use of Twitter Video,’ ‘Best in Non-profit,’ ‘Best Use of a Hashtag,’ and ‘Best Use of Storytelling.’ Mata Hari Tweets by Paolo Coelho is a finalist in Twitter Partnership: Best Influencer & Celebrity Twitter Campaign. RT’s unique 8-episode historical panoramic video series Revolution 360 is among the finalists in the ‘Best Use of 360 Video’ category. Each video immerses viewers in the atmosphere of the dramatic events that took place 100 years ago during the Russian Revolution. 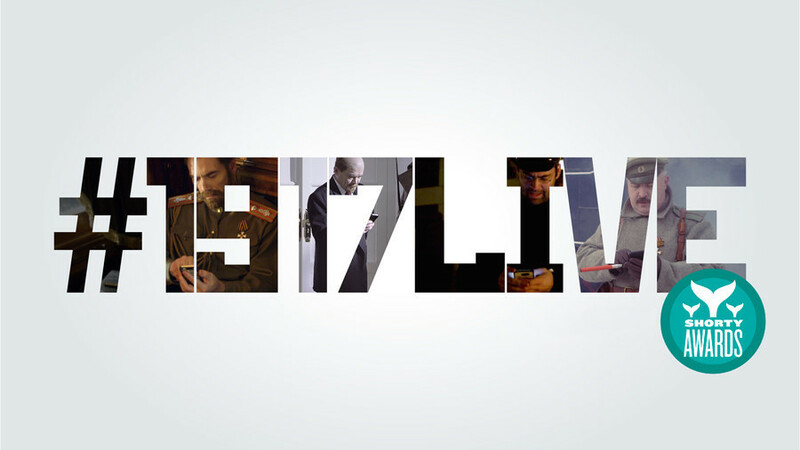 Meanwhile, the team behind #1917LIVE is about to launch their next project – #Romanovs100, a photo-story about the last reigning Romanovs told through the family’s personal photos. The big release is planned for April 8, exactly 100 days ahead of the date marking 100 years from the family’s execution by the Bolsheviks.